Myositis ossificans or fibrodysplasia ossificans progressiva - When your muscle is converting into bones!!! Assume that, you are walking in the street. Suddenly an accident takes place. Many part of your body is injured including muscle and bone. 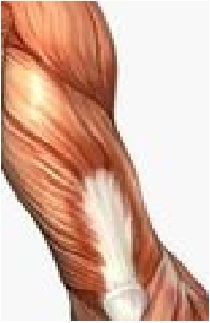 After a few days, you will notice that some of your injured muscle are becoming painful, swelled up. Eventually there will be no muscle. That injured area will convert into hard bones!! !